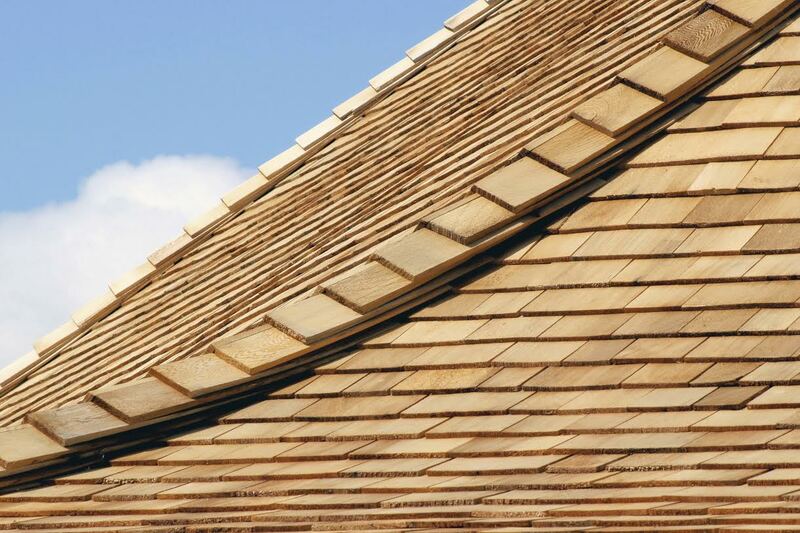 Cedar roofing is made from one of nature’s most beautiful materials. Cedar roofing is a wonderful choice for Montgomery County homeowners who are looking to turn heads on the block and really create a unique look. When you’re looking to add rustic charm to your city home, or you want your country abode to sink naturally into nature, cedar shingles can do it. Though cedar roofing can require a bit of maintenance, and can be an investment, there are few products as exceptionally beautiful and awe inspiring as a cedar roof. Is a Cedar Roof Right for Me? When your roofer installs your cedar shingle roof, you’ll know that every single shingle is genuine wood. Cedar shingles are split from trees, giving you an authentic look and all the benefits of one of nature’s most durable materials. This allows it to stand strong against the elements. When high winds, hail, and snow hit, your roof will remain sturdy. Though the wood itself is quite strong, in order to protect it from any water damage, most cedar shingles are sealed with weatherproofing treatments, and stains. These two extra layers of protection keep your roof looking beautiful longer, by increasing the water resistance, preventing the growth of mosses, and warding off erosion. Your roofer can help you keep up on maintaining stains and seals, so you can get the most our of your cedar roofing for longer. One of the potential pitfalls of wooden roofing such as cedar is that it requires a bit of your time. Set up a maintenance schedule with your roofer so that you can keep up on the health of your roof. Cedar is one of the original roofing materials used in this country, so it can certainly handle the weather, but you want it to look great through its entire life. In addition to keeping your roof well sealed and coated, you’ll need to give it checkups about twice a year. Debris like leaves and moss need to be cleared away, and any overhanging tree branches should be trimmed. With just a tiny bit of effort, you’ll have a beautiful roof for years to come. If you’re interested in finding out more about wooden roofing options, be sure to call your professional roofer at Absolute Home Solutions. 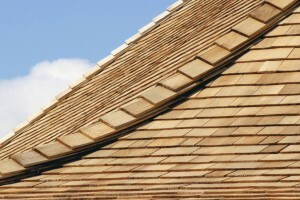 We will ensure that your cedar roof is properly installed so you reap the maximum benefits. Contact Absolute Home Solutions at 240-328-9872 for a free consultation. You can also connect with Absolute Home Solutions on Facebook, Google+, Pinterest and Twitter. This entry was posted on Friday, June 5th, 2015	at 6:29 pm	and is filed under Blog, Roofing . You can follow any responses to this entry through the RSS 2.0 feed. You can leave a response, or trackback from your own site.